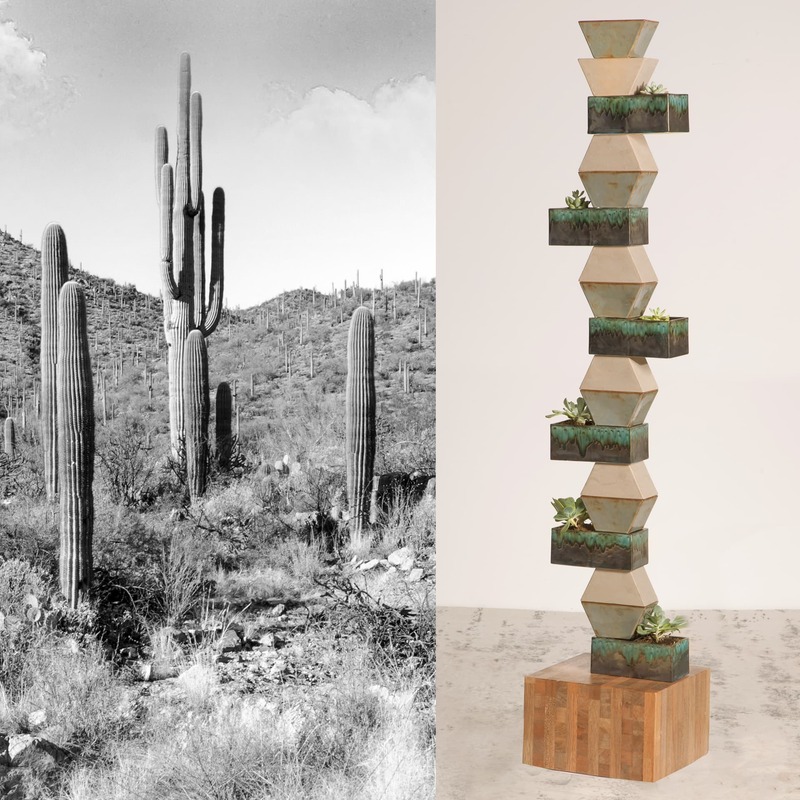 Earthy yet modern, the stacked Totemic planter/sculpture pays homage to the artifacts of native cultures from the past. 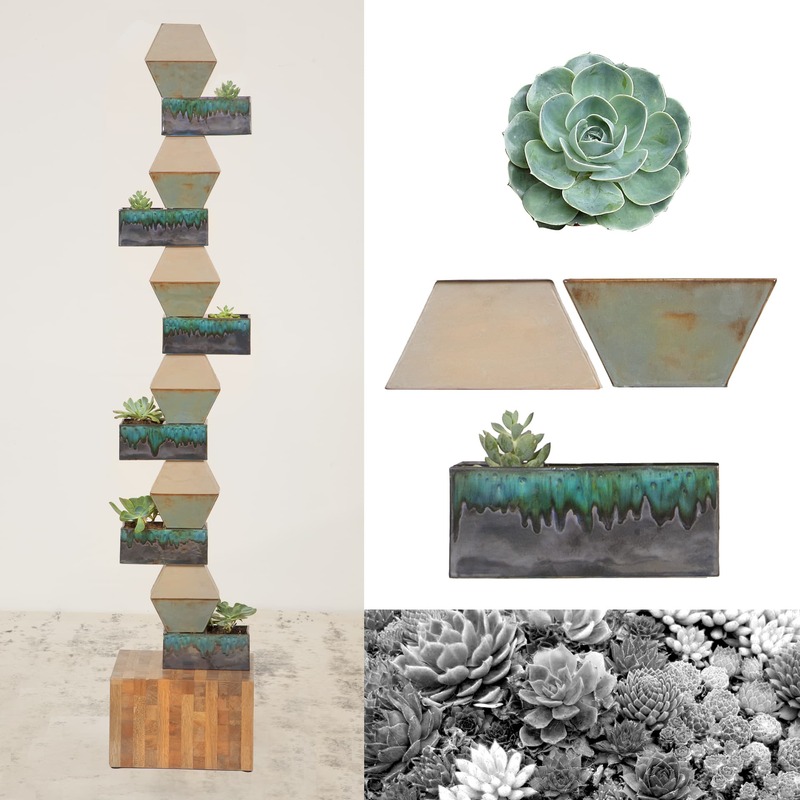 The piece consists of 3 modules – 2 spacer forms and a planter form, each hand cast and hand glazed in stoneware. The flexibility of the design allows for a variety of heights and the ability to create a dramatic focal point when installed in multiples. Product designed for DGoods.